WELLS RECORD 08 PMSS FARM DAIRY POULTRY is a history written by Evelyn K. Wells of activity on the Farm, the Dairy and Poultry at Pine Mountain Settlement School from 1913 until 1928. After some experimenting with the raising of corn, that was found to be too expensive a crop for us and the chief effort has gone into developing, by ditching and draining and building up a sour, heavy soil, with cover crop a garden which little by little has spread over our bottom land until in June 1928 its produce was worth some $3,200. Our garden land had a sorry reputation among local farmers when the school began but by dint of thousands of feet of ditching and draining and a long rotation of crops it has been built up from an unproductive swamp and the kitchen is extremely dependent upon it. For the first two years nothing could be done but ditching and fencing and soil reclamation. It was of no immediate good to the school table for some years. But in 1917 Mrs. Zande writes of having helped can 1,200 half-gallon cans of our own vegetables. It is fortunate that the garden began to yield as the war came on and food became a grave consideration, While we were experimenting on raising corn and hay, the Wilder farm and the Medcalf farm on Little Laurel were cultivated for those crops. 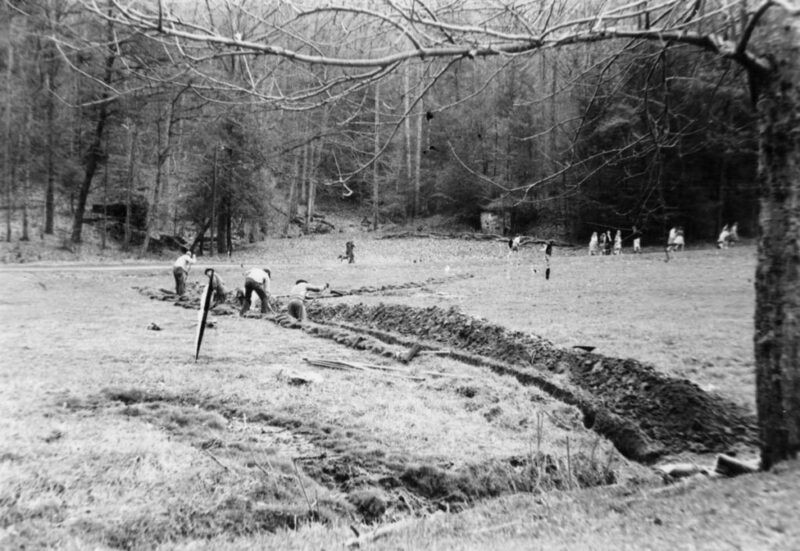 During Mr. Zande’s regime the work of ditching and replacing old ditches went on, the creeks were straightened to give a handful more of tillable land here and there, the boulders that one met all through the garden were blasted out, more land was cleared, and the timber used in construction, instead of being burned according to the usage of the country; and at the end of that time there was about 75 acres in farm and garden. During the period that Mr. [William] Browning has had charge, the garden acreage has practically doubled, and the work of early years has borne fruit in Mr. Browning’s wonderful garden crops. The policy of sowing cover and legume crops and turning them under as an equivalent for manure has continued. The increase in garden truck is shown by the fact that in 1923 we had 48 bushels of tomatoes from the garden, and in 1928 118 bushels. 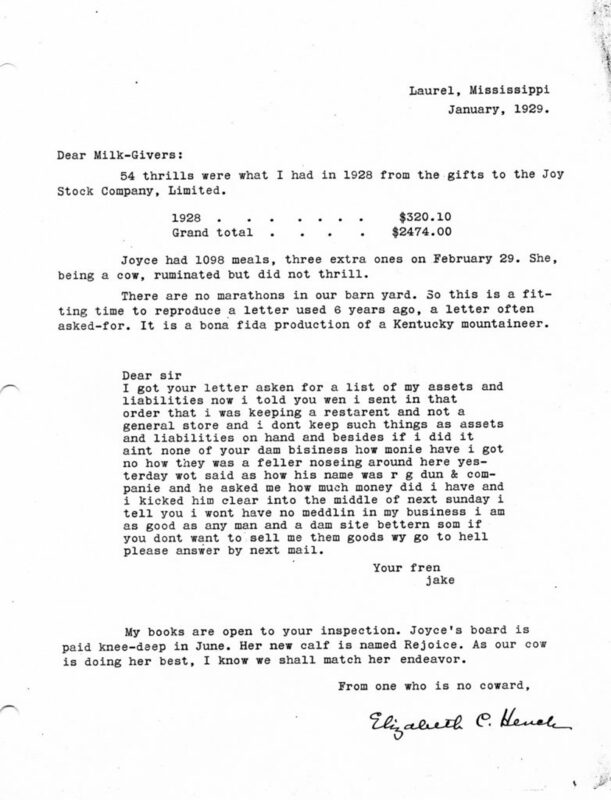 As against the 400 cabbages we raised in 1923, we think of the 9,000 in 1927, of which those sold in the neighborhood hand to the lumber camps alone after the family wants were supplied were worth $125.00. 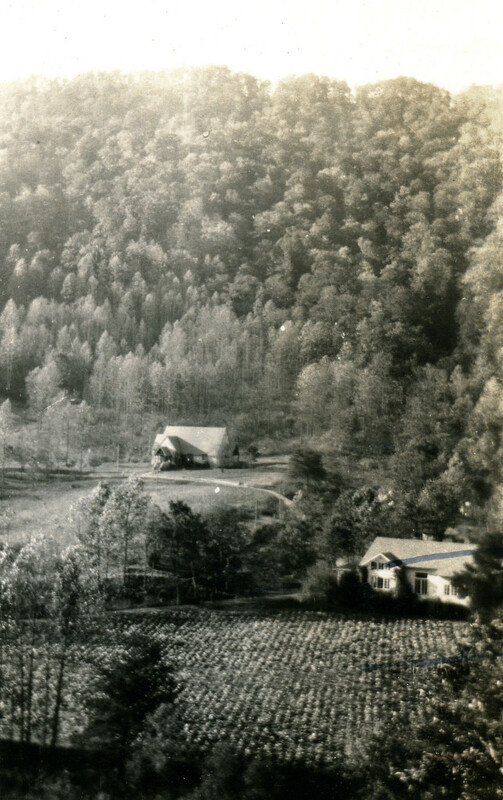 While Pine Mountain has always fallen far short of being a model farm for the neighborhood, it has taught valuable lessons such as terrace gardening, apparently unknown here until people saw the school hillsides terraced, the rotation of crops and the turning under of dryer [?] legume crops In the past three years, in particular, neighbors have begun raising soy beans and cow peas for hay. When one looks at our herd of fifteen milking cows, our Ayrshire bull in his pen, the calves and heifers coming along, the barn with its concrete stalls and improved stanchions, the carefully screened milk-room with its accurate records for each cow, and the simple but intelligent arrangements for the care of feed; and when one hears that we are now getting a little over a quart of milk a day per person even in the winter, it is hard to remember the long road that has been travelled since the early days. In spite of the lack of proper pasture and the expense of hauling carloads of feed sixteen and eighteen miles over rough mountain roads from the railroad, the school has held to the dream of one day being able to give the children all the milk they ought to have. Mr. Philip Roettinger [Board of Trustees] of Cincinnati was one of the pioneers in helping us get the dairy on its feet. In 1914 he took charge of raising $500 for the Barn, by sending out postcards asking for a dollar apiece. The Barn was built in the summer of 1915. At first there were only “mountain scrub” cows, but in 1916 the experiment of raising Jerseys was tried. Four cows and a bull were bought in the Blue Grass. They proved too delicate a breed for the school however and three years later two Holsteins and and a Holstein bull and a Guernsey were bought. Then we began to hear about Ayrshires, and on the advice of the University of Kentucky Experiment Station and our county agent, Mr. Robert Harrison, the Ayrshire strain was brought in as best suited to mountain farm conditions. the aim is now to build up our own herd from this strain, raising our own heifers, but until our herd is all Ayrshire, we are thriving on the milk from the mountain scrubs, the Holsteins and the descendants of the Jersey cows of 1916. 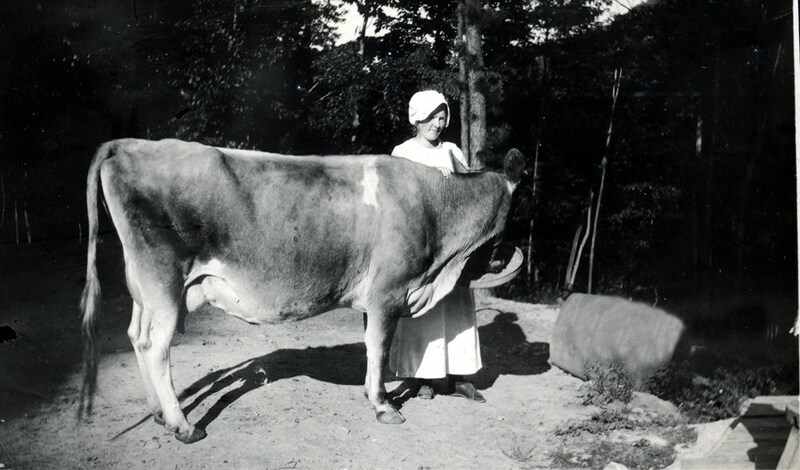 Miss Elizabeth Hench’s Joy Stock Company, as it is told elsewhere, supports the cow Joy and her offspring. From the detailed figures on the production of milk, one compares October 1915 with its 540 quarts, with October 1919 with 1,400 quarts, and October 1928 with 2,000 quarts.